Light Liner® is a unique, chairside reline material that light cures in minutes. Available in a soft or hard non-methacrylate formula, this microfilled composite flows easily and offers the convenience of a one visit procedure without multiple pour-ups or impressions. Accurate relines and quality repairs are achieved in minutes. Light Liner® is a dual-cure, self-bonding material that will not shrink, stain, and is color stable. Light Liner® is virtually as strong as the denture, chemically bonding to it to prevent flaking or peeling. *Powder packaged in 8 single dose packs for convenience. 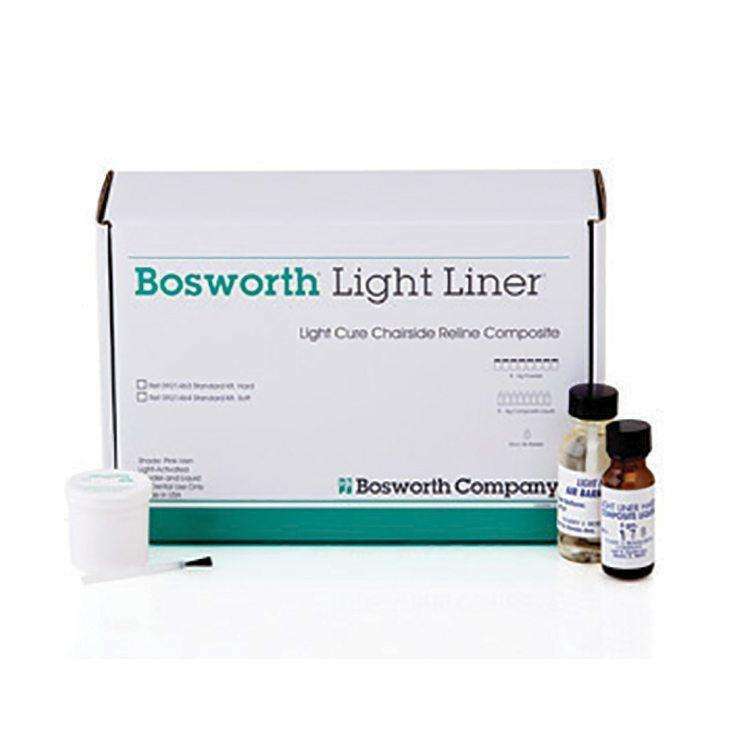 Light Liner® is designed to function under a 100W light box for approximately 5 minutes. Any light box above 100W, adjust time to avoid denture warping.